← Folk Wines: What’s What? I’m still hiding in a few shadows, but if I didn’t have any shadows left, I’m afraid I would be scorched by the sun. Metaphorically speaking, of course. Secrets can be destructive or protective. It depends on who is keeping what from who. White lies are what keep things running smoothly– not to say that people should lie more often, or necessarily that people should intentionally lie at all… but maybe not giving the entire truth unless asked is the best way to keep a few shadows hanging around. I feel like I am mostly in the light– I can only think of two things that I haven’t told a couple of people in my life. They aren’t important things, so they can stay in the shadows for a while longer. Speaking of all of this light, I should change into my bikini and go catch some sun in my outdoor studio 😉 It’s beautiful outside right now, and I’ve got to finish a couple of projects. This entry was posted in Art, Ceramics, Creative Writing, Deep Thought, Photography, Poetry and tagged blue, ceramic art, kira call, light, pitcher, pottery, sunlight, trees, truth and lies. Bookmark the permalink. 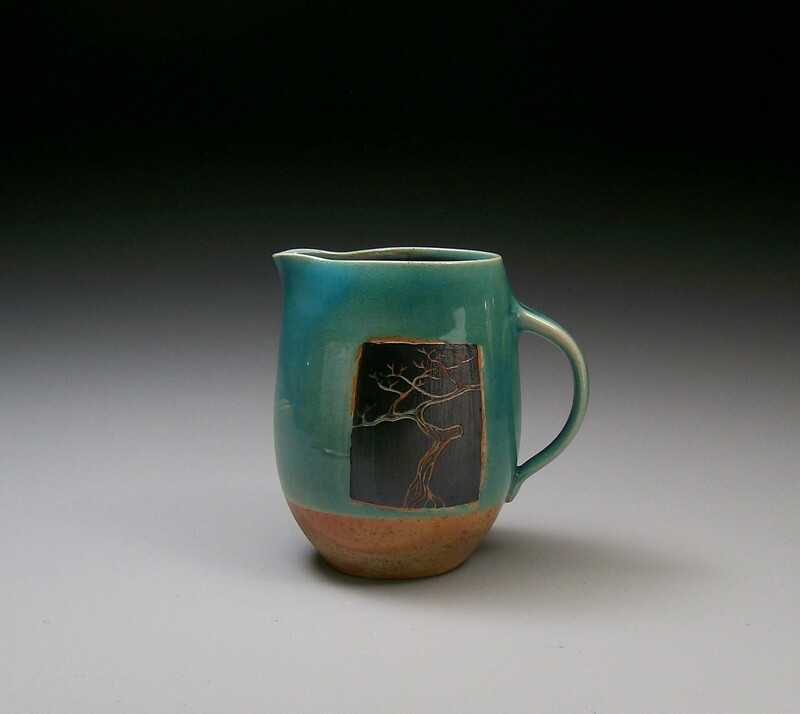 this mug looks somewhat …magical!